The first hole provides an opportunity to get off to a good start with a birdie. 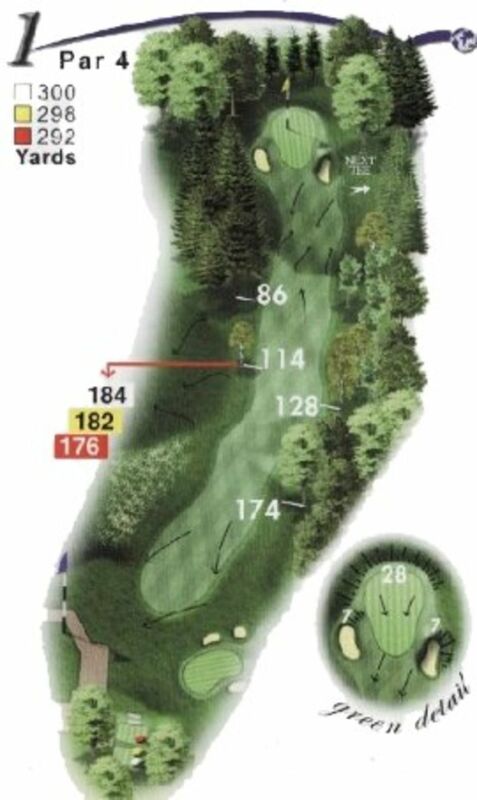 Favour the right side with your tee shot. On the second shot, be aware of the two deep greenside bunkers.